The FDA issued a press release yesterday to update the public on the status of three organic supplements sold by Triangle Pharmanaturals LLC. Because kratom is a botanical, it is legally classified as a dietary supplement in the U.S. However, the Dietary Supplement Health & Education Act (DSHEA) requires any supplement ingredient that wasn’t in use before 1994 to meet a minimal demonstration of potential safety. Manufacturers are supposed to submit information to the FDA showing a history of use or other evidence of safety, establishing that their product is reasonably expected to be safe under normal conditions of use. So far no such evidence has been presented to the FDA. 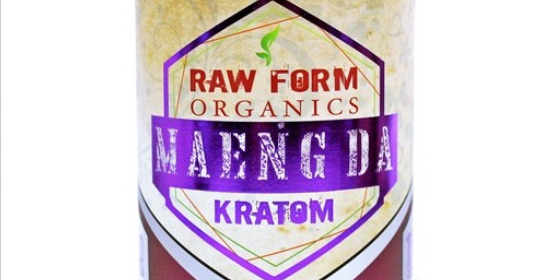 Had kratom made it onto the expansive U.S. dietary supplement market prior to 1994, there would be little the FDA could do to get it off the market. The burden would have been on the FDA to prove kratom is unsafe before it could be banned. The fact that it was used in Southeast Asia (as opposed to the U.S.) in a tea prior to 1994 is sufficient in the eyes of at least one lawyer on the payroll of the supplement industry to argue that it should be allowed into the U.S. and sold as a dietary supplement, potential for abuse and ill effects be damned. On the other hand, if kratom were purified and the active ingredient(s) isolated and manufactured, (as is the case with, for example, morphine), it would have to go through the FDA’s new drug process, including randomized controlled clinical trials to establish its safety and efficacy in humans. The drug would require a prescription, and extensive literature including information on side effects, dosing, and interactions with other substances would be available for both the prescriber and the patient. Such is the fiction established by DSHEA that botanicals are somehow not drugs, even when they are taken explicitly for medicinal purposes. Given its status as a dietary supplements, warning about risks are not mandated to appear on the label. The number of kratom poisonings has been increasing, along with its popularity, over the past few years. Compared to the 16,000 annual deaths the CDC says come from opioid deaths, it is possible that kratom could be an alternative to opioids as the American Council for Science and Health details in a risk/benefit analysis. Unfortunately without a science based approach to regulation, something the supplement industry is pushing back against, kratom simply remains a threat. Promoting sustainable technology and exposing those who demonize it.